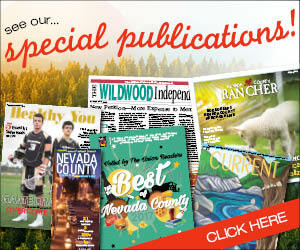 Thank you so much to The Union for its support of the public library by the printing of the Nevada County Library’s National Library Week articles. Reflected in these articles on the County Library’s services and accomplishments is the wonderful support of the Friends of the Libraries and the public who voted for the sales tax measures. Reflected, also, is an understanding of the nation’s public libraries commitment to the intellectual freedom when an effort to turn our Nevada County Library over to a commercial company was defeated.